In Sparks of Phoenix—Najwa Zebian’s third book of poetry—she takes her readers on a powerful journey of healing. 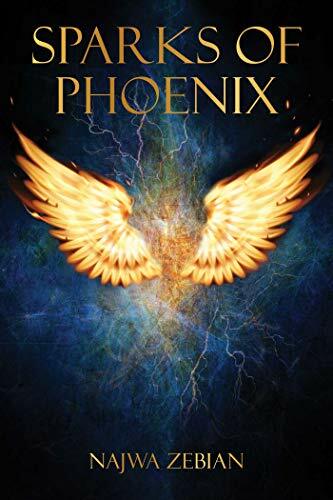 As the phoenix emerges from its ashes, Zebian emerges ablaze in these pages, not only as a survivor of abuse, but as a teacher and healer for all those who have struggled to understand, reclaim, and rise above a history of pain. The book is divided into six chapters, and six stages of healing: Falling, Burning to Ashes, Sparks of Phoenix, Rising, Soaring, and finally, A New Chapter, which demonstrates a healthy response to new love as the result of authentic healing. With her characteristic vulnerability, courage, and softness, Zebian seeks to empower those who have been made to feel ashamed, silenced, or afraid; she urges them, through gentle advice and personal revelation, to raise their voices, rise up, and soar.